Giving every mama a break, every day. Who is gearing up for a happy Easter? Don't forget the bunny! 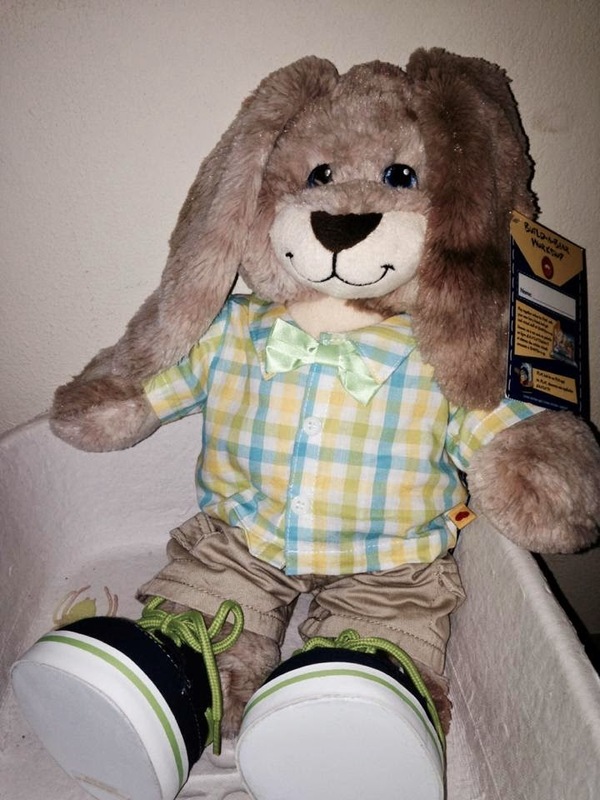 We buy our children bunnies each year, and this year we were thrilled to review them from Build-A-Bear Workshop. How about starting with this adorable Stripes-a-lot bunny? Don't forget to get her a pair of her Easter best shoes! She is soft and snuggly with vibrant colors perfect for Spring! Have a son who needs a bunny? We love this Chocolate Bunny. He is so soft and comes in a really COOL outfit! Perfect for the little dude in your life! What we love most about Build-A-Bear Workshop is their variety! My oldest is a tween and thinks she is too old for traditional stuffed animals. 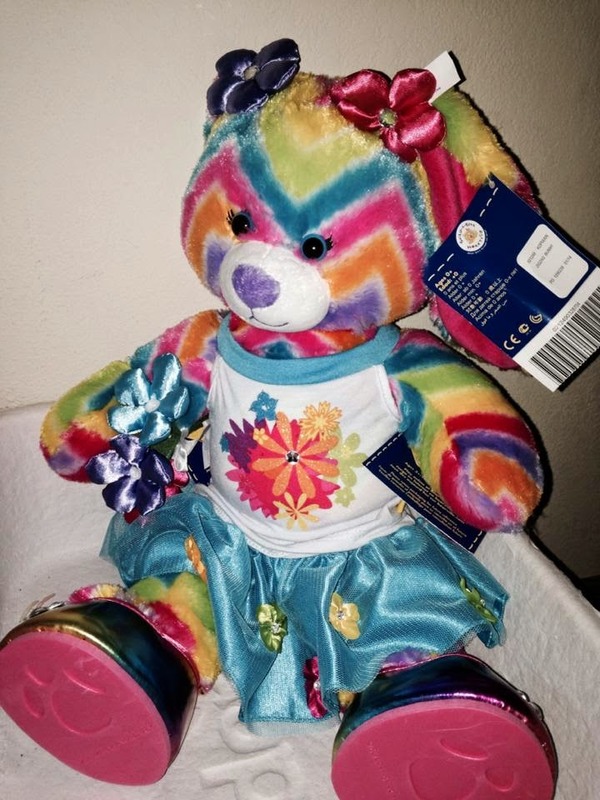 We think the Build-A-Bear Buddies are PERFECT for tweens! They are small and so cute! You can even get them dressed up as a bunny or a chick! The best part is, even if you have not ordered, it is not too late to get your own! Why not bring your little one to your local Build-A-Bear Workshop where they can build their own animal! What a perfect Easter treat! 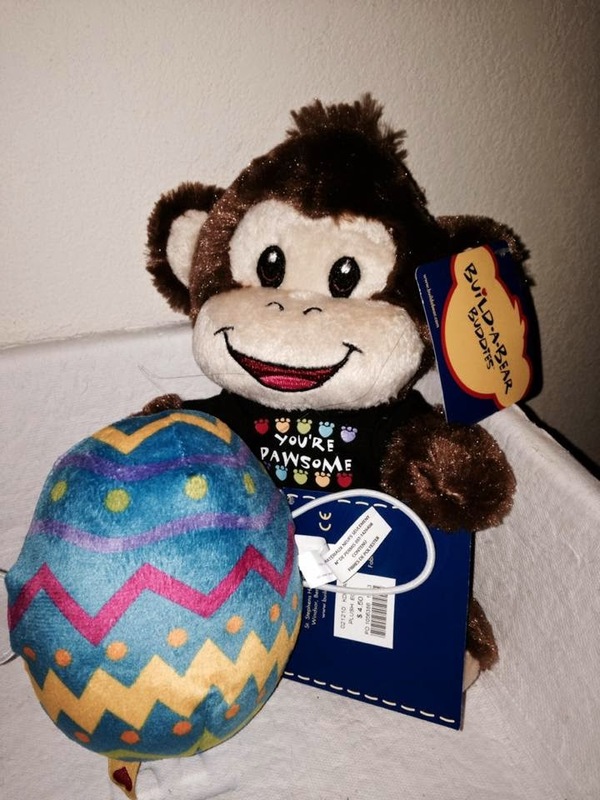 Want to win your OWN Build-A-Bear gift card? Enter below! I'm a sucker for a traditional teddy bear! oh my gosh they have the palace pets my daughter would go cuckoo over those! I really like the Watercolor Bunny! I love Watercolor Hello Kitty! I have Hello kitty everything and would love one! I love the My Little Pony Fluttershy. I want a My Little Pony!!! So cute my daughter would love! My daughter would like the Watercolor Hello Kitty! My son loves the doggie! So hard to pick! They're all so neat. They used to have a kermit frog that was pretty adorable! My Little Pony Rainbow Dash!!! I want to take my twins to build a bear for their first time this summer! How fun! Oh the bunny...my son would love him! Would totally build a new baby gift for my boyfriend's sister! probably the yellow lab because our dog died and my 2 year old still asks for him! Girl Scouts Coconut Caramel Bear. My little guy loves those cookies. Crazy 8 SALE!!!!!!!! This Friday!!!!! Coohpons.com Will Save you MONEY!!!! It's Date Night At HOME with Home Chef! Sign Up to Be a Claritin Crew Mom!